The new year is upon us, and now is the perfect time to reflect on what went wrong in 2018 and turn over a new leaf. 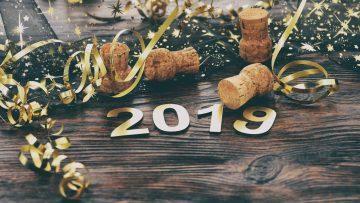 2018 saw its fair share of changes and we can expect 2019 to be no different. Google is now in full mobile first mode, brand mentions are the new “it” word, and SEOs everywhere are still on the edge of their seat waiting for the next Google algorithm changes. Let’s take a look at some SEO practices that are sure to pay out in 2019. Voice search is here and in a big way. And it’s not going anywhere anytime soon either. Whether it’s Siri, Google Assistant, or Amazon’s Echo, voice search and voice assistants are now part of everyday life, and you simply can’t afford to ignore them when it comes to SEO. This means putting more and more emphasis on query-based searches, and less on strictly high-ranking keywords. This also means that you should start focusing on things like natural phrasing and context instead of focusing on long tail keywords for instance. 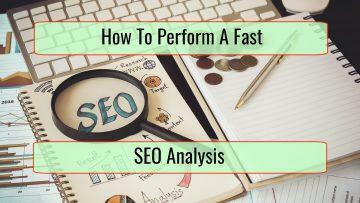 Site performance is now one of the biggest SEO ranking factors, and underperforming sites are getting penalized left and right for underperforming. While this has been a reality for a while, it’s now more important than ever now that Google is also factoring mobile search speeds as part of its algorithm. So, your site now not only has to perform well on laptops and PCs, but on mobile devices as well. That means doing everything you can to create lean sites that perform well across all platforms by optimizing media files and implementing caching solutions among other things. Speaking of mobile, the introduction of mobile first indexing should have a huge impact on how pages are created. Google just stated that they would not only start using mobile pages for indexing, but will be using mobile pages first and foremost as part of their index. This marks a major shift away from laptop and PC search and is right in line with Google’s mobile first approach. That means that underperforming mobile sites will not only affect your site’s ranking from a performance standpoint, but it will have a direct influence on how your site will be ranked, no matter how fast your site is on traditional platforms. That means that optimizing for mobile is not an option anymore and that you should start embracing responsive design that will work optimally irrespective of the platform. You also have to factor in things like pop up and heavy flash elements and see how they translate to mobile devices as well. Google has recently introduced featured snippets and seem to be really dedicated to them. Featured snippets are the small excerpts positioned right above SERPs, and they’re occupying more and more prime real estate on search engine pages. And having your results show up in featured snippets could have a huge effect on your conversion rates and organic traffic. As a matter of fact, Ben Goodsell reported a 677% boost in traffic revenue on featured pages and a 6% jump in traffic when featured in answer boxes. If you want to get mentioned in featured snippets, there are a few things you have to be aware of. First, you should know that pages that are already performing well will have priority. As a matter of fact, a recent study found that over 99% of links in featured snippets were to pages that were already ranking in the top 10. But whether they ranked at number one didn’t seem to be the biggest deciding factor. So, if you’re already in the top 10 for any query, you’re in a good position to get your page featured. It all starts with implementing sound, basic keyword research first. But you should be focusing on question-based keywords more, since those tend to get featured more often. But using highly relevant, long tail keywords is essential as well, since a large portion of keyword phrases that end up in snippets often have no question component to them. You can also use tools like Serpstat that will allow you to see which keyword phrases trigger featured results so you can optimize your site accordingly. Google is not the only kid on the block anymore, and you can’t afford to ignore the competition. While Google still holds the wide majority of market shares, other players like Bing and even Facebook and Amazon are slowly chipping away at its monopoly. Big players like AOL recently switched to Bing as its default search engines, and Microsoft is slowly, but surely gaining ground thanks to hardware sales, so you now have to take other players into consideration as part of your SEO strategy. Social shares play an essential role in SEO nowadays, and are fast replacing outdated link building tactics. While Google stated that social shares were not counted as a direct ranking factor, they have a direct influence on brand mentions and organic backlinks, which are factors that Google’s algorithm uses to compile results. The best way to get the most social shares is by making your presence felt on social media. And this starts by knowing where you audience congregates and on which social media platforms you should put most of your attention. You should focus on creating highly reactive content that will engage your audience and get them buzzing. You should also diversify your content and focus more on video content, since it’s slowly becoming the most consumed content on social media. So, without a solid video marketing strategy, you’ll have a hard time capturing your audience’s attention. 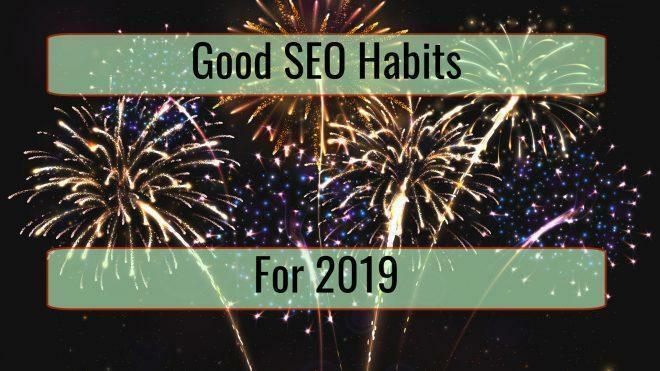 This year should be an eventful one for SEO, and you should get ready now if you want to stay on top of your game. Make sure that you follow this advice if you want to get a leg up on the competition and improve your search rankings in 2019.